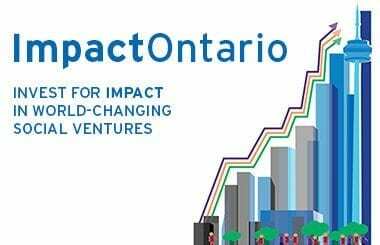 ImpactOntario is one week away and we are excited to announce the lineup of impact ventures presenting in the closed and open pitch sessions! With these themes, ImpactOntario aims to showcase the breadth and diversity of social and environmental impacts generated by impact entrepreneurs! The Education & Technology theme features ventures disrupting the education sector and/or ventures pioneering technology to drive impact in their sector. Examples include educational programs and software, fundraising tools for schools, and charities and devices to support technology use for persons with disabilities. This session will feature presentations from ChangeIt, GrantBook, JUMP Math, Komodo OpenLab and Thriver. This theme includes ventures and funds improving quality of life and health outcomes through products and services in the health sector. Innovations include preventative technologies, early screening, detection devices, and healthcare insights and analytics applications. Participants will hear from Eve Medical, Lucky Iron Fish, Proteocyte Diagnostics Inc., QoC Health and Southbridge Health Care LP. This theme is comprised of ventures and funds reducing barriers to opportunity for vulnerable populations, including immigrants and First Nations, persons with mental illness and/or addiction, and persons facing social and economic exclusion. This closed pitch will include presentations from Community Forward Fund, The Fair Trade Jewellery Company, Frontenac Community Mental Health and Addiction Services, Oliberté and Trillium Housing. The Sustainability theme includes organizations championing processes, products or services which increase sustainability and environmental stewardship with a focus on clean energy and agriculture. The audience will hear presentations from CHAR Technologies, Homestead Organics, SolarShare, TAS and ZooShare Biogas Co-operative Inc. The open pitch session promises to showcase Ontario’s early-stage impact entrepreneurs with five rapid-fire 3-minute pitches! Here are the ventures taking part in the open pitch: Agri-Neo, Forward Vision Games, Local Buttons, Specialisterne Canada and Textbooks for Change. ImpactOntario is officially sold out and we are expecting participants from throughout Canada and abroad! We look forward to capturing all of the day’s key insights and takeaways. Follow the conversation at #ImpactOntario on March 18.